1. “FCC approves new 911 location-accuracy rules” – Before last week’s vote, there were no requirements for wireless indoor location accuracy. Commercial wireless carriers only had to meet location-accuracy requirements for wireless 911 calls made outdoors. The FCC took steps to correct that with a unanimous vote. The new rules were approved after the four major wireless carriers amended their proposed plan (see below) to provide accurate location information, even in high-rise buildings. You can read a list of task force members here and here. 3. 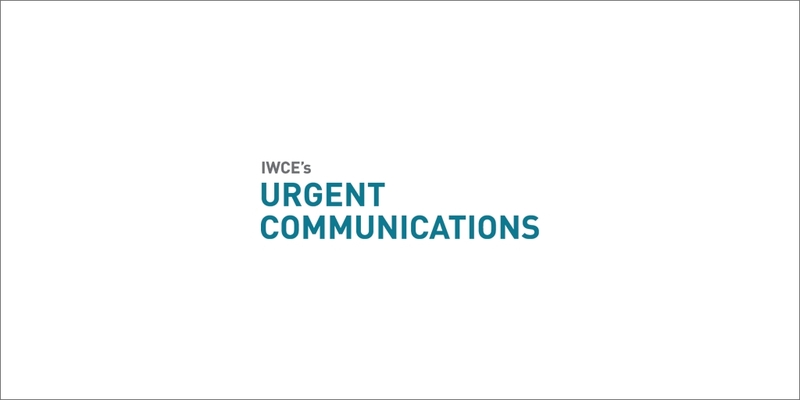 “FCC wireless 911 location-accuracy rules should demand accountability, long-term improvement” – IWCE’s Urgent Communications Editor Donny Jackson explains what’s at the heart of the carriers’ roadmap and what factors the FCC needed to consider when approving new rules for location accuracy. Now with the vote a few days behind us, did the FCC get it right? Weigh in here. 4. “AWS-3 spectrum auction closes with top bids totaling almost $44.9 million” – After a 45-day auction, 31 bidders walked away with 1,611 licenses in the highly successful AWS-3 spectrum auction. For more recent industry headlines, go here. 5. “Nationwide wireless carriers alter proposed roadmap to improve location accuracy for indoor 911 calls” – After listening to criticisms of an initial proposal, the four major wireless carriers came back eight days before FCC’s vote with an amended roadmap. The revised plan included new performance metrics, a greater focus on the vertical Z-axis coordinate and a willingness to work on privacy issues associated with a proposed new database of Wi-Fi and Bluetooth beacon infrastructure. Critics of the plan said the roadmap still fell short. “That is not really a commitment. They’re just saying, ‘We’ll have the ability to do this,’ as opposed to actually providing a dispatchable address, and that was one of our problems with the previous [roadmap],” said Jamie Barnett, the director of the Find Me 911 coalition.